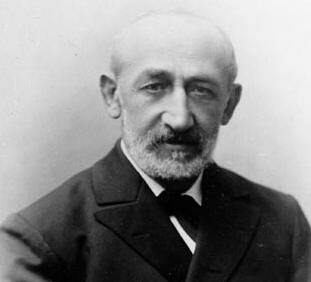 Paul Albert Gordan, a mathematician at the University of Erlangen, was a close friend of Max Noether, and Emmy Noether was Gordan's only doctoral student. Side by side with Noether acted in Erlangen as a mathematician the closely befriended Gordan, an offspring of Clebsch's chool like Noether himself. Gordan had come to Erlangen shortly before, in 1874, and he, too, remained associated with that university until his death in 1912. Emmy wrote her doctor's thesis under him in 1907: On complete systems of invariants for ternary biquadratic forms; it is entirely in line with the Gordan spirit and his problems. The Mathematische Annalen contains a detailed obituary of Gordan and an analysis of his work, written by Max Noether with Emmy's collaboration. Besides her father, Gordan must have been well-nigh one of the most familiar figures in Emmy's early life, first as a friend of the house, later as a mathematician also; she kept a profound reverence for him though her own mathematical taste soon developed in quite a different direction. I remember that his picture decorated the wall of her study in Gšttingen. These two men, the father and Gordan, determined the atmosphere in which she grew up. As a mathematician not of Noether's rank, and of an essentially different kind... "Er war ein Algorithmiker," as Max Noether himself concluded in the aforementioned obituary. Gordan was known as the "king of invariant theory," having proved a famous theorem by explicitly constructing a finite rational integral basis for binary invariants. However, part of his fame has survived because of a quick death brought to invariant theory by David Hilbert, when he gave a purely existential proof of the theorem. An often repeated story is that Gordan's reponse to Hilbert's proof was the exclamation, "Das ist nicht Mathematik, das ist Theologie!." Weyl's comment is likewise memorable: "What then would he have said about his former pupil Emmy Noether's later "theology", that abhorred all calculation and operated in a much thinner air of abstraction than Hilbert ever dared!" Max Noether, "Paul Gordan," Mathematische Annalen 75 (1914) 1-41.